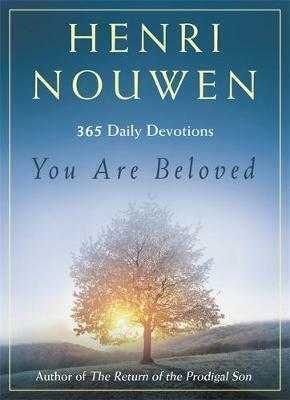 You Are Beloved is a daily devotional created from the very best of Nouwen's writings, paired with daily Scripture readings, that reveals our identity as children of God, and which encourages us to live out that truth in our daily lives. Nouwen is at once refreshingly accessible, unafraid to wrestle with challenging questions, and above all an encouraging and sympathetic voice along the way. Henri Nouwen (1932-1996) is widely recognised as one of the most influential spiritual writers of the twentieth century. A Dutch-born Catholic priest, professor and pastor, he gained international renown as the author of over forty books on the spiritual life, including such classics as The Wounded Healer, The Inner Voice of Love, The Return of the Prodigal Son, and Life of the Beloved. Nouwen's books have been translated into more than thirty languages and have sold upwards of seven million copies worldwide, resonating with people across the religious, spiritual, cultural and political spectrum. Since his death in 1996, ever-increasing numbers of readers, writers, teachers and seekers have been guided by his literary legacy.